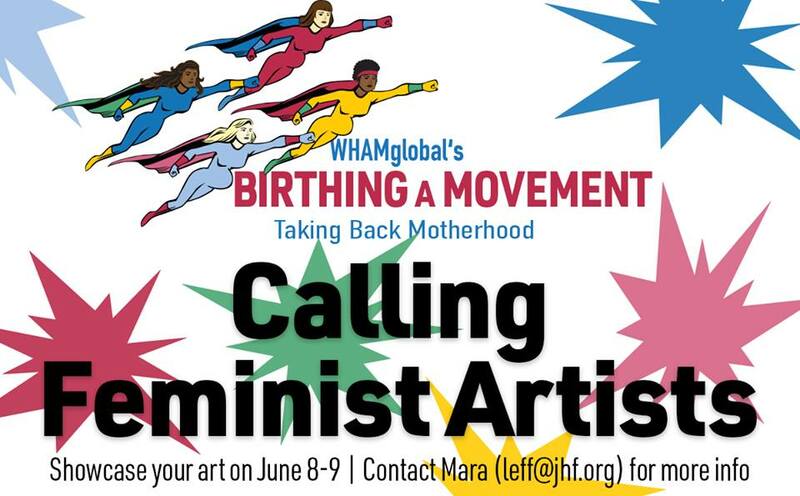 On June 8 and 9, WHAMglobal will host an exciting showcase of local art celebrating women and motherhood. We are calling the event Birthing a Movement: Taking Back Motherhood. We would like to invite you to display a piece of your work that you feel best exemplifies the theme of empowering women and supporting motherhood. You will have the opportunity to sell your piece during a cocktail reception on the evening of June 8 in a still to be determined Oakland location. The art will be on display that evening, with an opportunity for extended display hours the next day (June 9). There are several large events happening in Schenley Plaza and Oakland that day, so we are anticipating there will be quite a bit of foot traffic. We hope that you will consider participating! Please email Mara Leff at Leff@jhf.org to inquire.